Thursday of last week was the first day of school for my third and fourth grade students at Positive Tomorrows. This is my fourth year back in the classroom after working about 7 years in preschool ministries at our churches in Texas and Oklahoma, but 30 years since I graduated from college and starting teaching elementary school when I was just 20 years old. The first few weeks of school are absolutely critical, in my opinion, for helping build classroom culture and relationships with my students which will grow throughout the year. 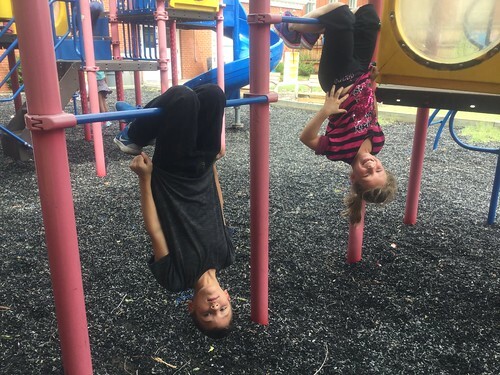 In this post, I want to share some of the things we’ve been doing in Room 108 the first two weeks of school, and reflect on why these intentional activities and interactions are so important. 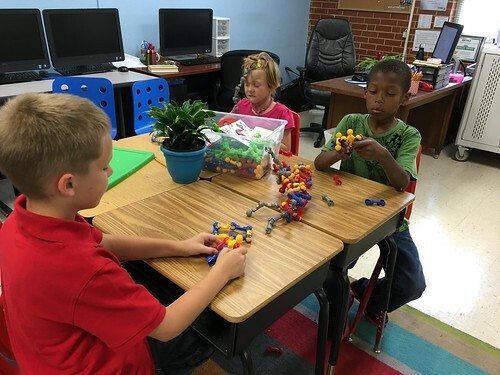 It is a huge challenge to take 14 individual students with widely varying experiences and abilities and help them learn to become a caring class together. I asked my students today how many different schools they had each attended last year. Some of them had attended more than 3 schools in 1 year. We have already lost three of the students we started the year with. This reflects the highly mobile nature of the students and families we serve at our school. It’s extremely important for all the teachers at our school to be “trauma informed.” This means we are aware and sensitive of the ways students’ traumatic experiences outside of school can have a dramatic impact on their behavior and learning in our classrooms. Being able to recognize and understand the learning needs of students impacted by trauma is critical. One of my primary roles as a teacher the first few weeks of school is observing my students and how they interact with each other. Pedagogy (instructional practices) MUST change in a classroom filled with students who have experienced different kinds of trauma in their lives. By building a supportive, loving, accepting as well as engaging and challenging classroom culture, I know I can help positively impact the life trajectory of my students. These are some of my reasons for teaching and working with children, and it all begins in the first few weeks of school. 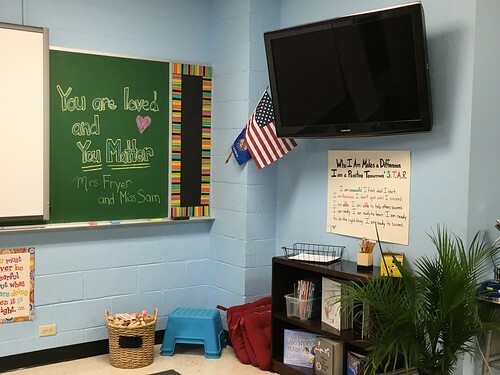 I do everything I can to create a physical classroom environment for my students where they feel safe and welcome. I want my students to start feeling, from the first day, that they are part of our classroom family. While we are fortunate to have many generous donors who help support our school, each year I have spent several hundred dollars to enhance and improve my classroom furniture. This year, I purchased a new shag rug and two comfortable chairs for our classroom reading nook. I use lavender essential oils to establish a pleasant and calming atmosphere in our room. I think I have stopped smelling it, but whenever others come into our classroom they usually comment on how good it smells. Students love the shag rug in the reading corner. It’s important there are appealing, tactile elements to our classroom, and that my students have choices about where they choose to sit, work and learn. 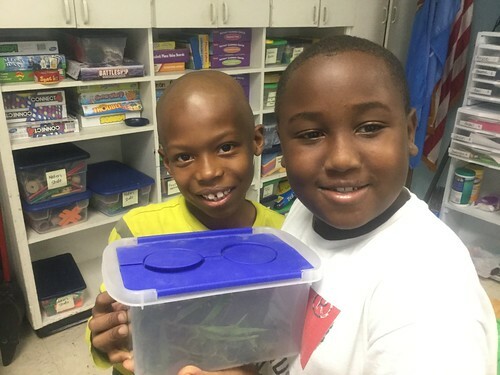 We have plants in our classroom, and it matters that there are living things in our environment that we take are of. One of my students found a small snail on one of the plants, and has been taking great joy in caring for it since our first week together. Visually, most of the walls of our classroom started off blank, ready for student work which we will post, share and celebrate together. When my students come into our classroom in the morning, we start each day with a class meeting. 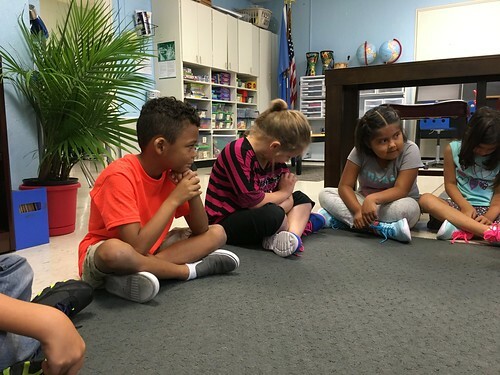 Class meetings are one of the most important activities I use to build our classroom culture. Today I asked my students what they want to do differently this year than last. One of them said, “I don’t want to be bad anymore.” I responded by assuring him that he is NOT bad, that he is perfect just the way he is. I explained that sometimes we make wrong choices, but we can always correct our mistakes and do better next time. One of my goals in the first few weeks of school is NOT to overwhelm my students academically. I am constantly monitoring and noticing how my students are interacting with each other and learning as they engage in classroom activities. I am looking for students who may be shy or timid, who need extra academic support, and students who exhibit leadership skills or are comfortable helping their classmates. 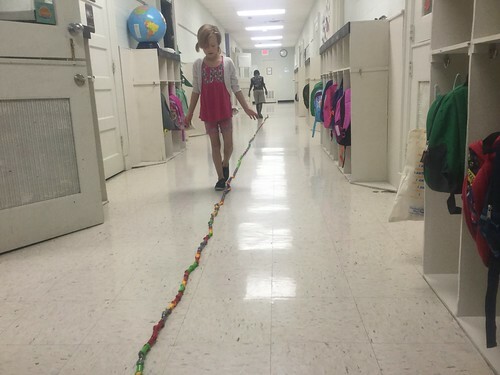 The ways students interact with each other, the length of their attention spans, and the tendency some students have to become quickly frustrated are all important traits I watch for and seek to understand. We play a variety of different games together to learn each other’s names and to learn how to look each other in the eye. I also encourage my students in these games to be silly and have fun. I want to build a classroom culture that is relaxed, where students feel free to be themselves without fear of judgement or teasing. I also have started our classroom podcast earlier this year than I have in the past. In our first episode last week, students reflected on what they love about our school. Today I had a student who shared that one of his hopes for the year is to learn more science. He found a science book in our classroom library and found an experiment he wants to do. He listed the supplies and steps which would be required, and made a plan for how he would do it during our “Maker Studio” time. I told him, “I love how you love science. You are going to challenge me as a teacher to create and share more science experiments with our class.” Already I am thinking of some “kitchen chemistry” lessons my husband did with his 4th and 5th grade students a couple years ago. I’m sure my students this year will love those kinds of science activities! When I read over the experiment about iron oxidation my student wanted to do, I asked him what he thought would happen. He wasn’t sure but thought maybe it would turn brown around the edges. I told him we might have to get a microscope to help us gather data for the experiment. He excitedly asked, “We have a microscope?” I love it when my students are curious and always try to encourage their curiosity with questions and suggestions for future learning projects. In our class meetings and activities together, I’m very intentional about the words and vocabulary terms I use with my students. This includes recognizing and celebrating student curiosity and creativity, but also extends to more basic ideas. Today I asked one of my students, “Have I told you I loved you today?” I want my students to know that THEY MATTER. I want them to hear me say that I love them before they even believe it themselves. This is the fourth year students in my classroom have all had their own iPads for learning. Before we get the iPads out, however, I need to establish our classroom culture of trust and responsibility. There are important classroom procedures and routines to introduce, model and practice with students in different phases. Share videos students have already created this year during our “Maker Studio” time. I’m very thankful to have this opportunity to teach another year at Positive Tomorrows. I’m thankful for the curricular autonomy I have which allows me to truly put my students first and to create a classroom culture that allows them to love learning and school. Shelly, happy back to school for you and your children. It was a beautiful journey I experienced as I read about your first two weeks. You and your students are lucky to have found each other. It’s reading articles like this that make me miss teaching. You are such a sensitive teacher which makes a world of difference. Keep on keeping on. Reading this makes me excited to start teaching after I graduate next year! Thank you for sharing your process and reasoning about what you do during the beginning of the classroom it allows me to process what it will be like when I start teaching and to start thinking about what I want my classroom environment and management to look like. 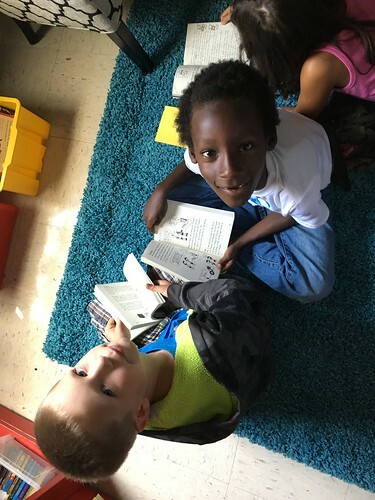 Thank you so much for writing about your thoughts and process of getting ready for the school year and the beginning of the school year for your students. Reading this makes me really excited to start teaching when I graduate! 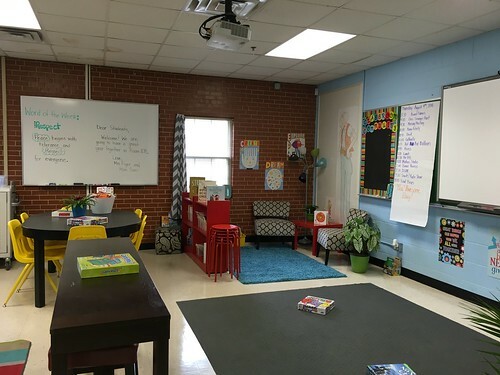 Reading your blog post allows me to think about how I want my future classrooms environment and management to look like. The amount of care that you put into welcoming and understanding your students is something I can’t wait to try with mine. I think it’s important that education starts to shift to student focused, and it’s easy to see that this article is a great springboard for sparking that change. I 100% agree that it is important to observe how the students interact and react, because discipline/rewards/critiques/praise/etc. 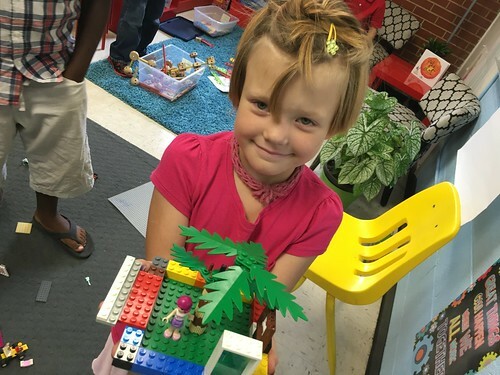 are not one size fits all; each student has seen different hardships, and taking the time to know your students is an important step in the process of helping students love life and learning at any school. I loved that you included the You Matter manifesto! I did have a question about that: how do you use the manifesto in the classroom? Do you share it with the students? Is it more of a hidden curriculum that you and/or parents know about? I’m asking because I think it would be a great beginning activity in the first week to break the students into 8 groups and have them figure out what those tenets look like when used in the classroom…maybe have them draw a picture (I love your other posts about adding the arts into a classroom, by the way), and definitely have them teach their tenet to the class. Do you think that would be too much for the first week? Also, for context, I’m planning to be a secondary English Language Arts teacher. Thanks for the great content! You’re quite the inspiration!